Pipe network fm200 system: multiple management along with selector valve, balanced spraying in big zone through pipeline, management of different layer, overall protection. Combined distribution system. The most distinctive and flexible advantage of this system is combined distribution system, which will combine multiple rooms in one district or building but with different dimensions or in different floor. 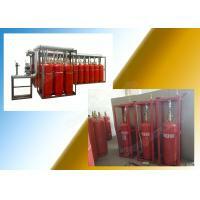 Meanwhile, it can reduce the cost based on the original by the least and safe utilization of fire extinguishing gas. 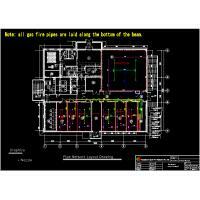 Because of the adoption of selective valves that can guide the fire extinguishing gas into the room on fire, so it would be relatively smarter to monitor each room to avoid an accident. It is worthy to mention that the combined rooms should be less than 8 including 8 in accordance with our standard. 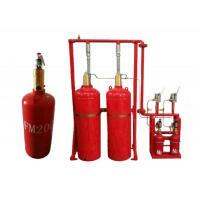 Pipe network fm200 fire suppression system is composed by pipe fitting part, fire extinguishing part and electrical element part. 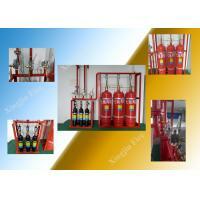 The fire extinguishing part: fm200 agent, fm200 cylinders, container valves, flexible hoses, liquid flow check valves, a set of manifold, a safety valve, pressure switch, nitrogen driving device(s), driving device frame, gas control pipe, gas flow check valves(it depends), selective valves(it depends), a pair of elbows and flanges, nozzles.If one set device needs to protect multiple protected zones, its composition is as above. However, if one set system just needs to protected single protected zone, the gas flow check valve and the selective valve should be got rid of from its composition. Because of using the whole flooding way to put out the fire, the fire suppression system only fits for those occupied room. 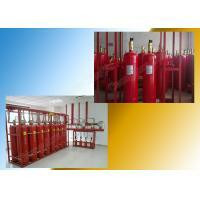 Pipe network type fm200 fire suppression system is suitable for those significant several rooms together or a big room. The follow - ups are for reference. 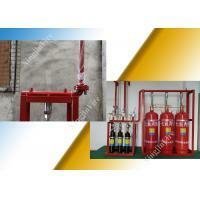 GUANGZHOU XINGJIN FIRE EQUIPMENT CO., LTD. is a professional manufacturer of making and installing fm200 fire suppression system and other fire fighting equipments. 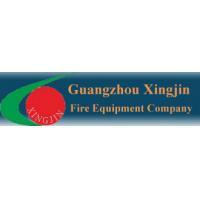 Guangzhou xingjin fire equipment co., ltd. has a subsidiary called Guangzhou Xing You Rong trade Co., Ltd. This two companies locate in different places. 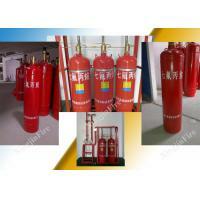 Guangzhou xingjin fire equipment co., ltd. set himself at Shilou town, Panyu district, Guangzhou, and its subsidiary locates at free trade zone in Nansha district, Guangzhou city. The company's office and factory are not seperated. These two contain in the same buiding and the first floor is for factory use, the second floor for office use. We here has estabilished a professional project design team and an excellent install and after-sale service team. Our good service and best quality have won a lot of good feedbacks from customers, but we still keep improving our technique trying to innovate more new fire fighting products. 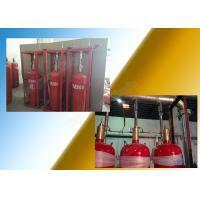 Since established in 2000, the company has won a lot of praise and honors. The title "AA level credit company" was given to us by China Fire Protection Association in 2014. Besides, all our products pass the CCC test that means the quality has been regconized. The main products of our company is the fm200 series, at the same time we also sale other fire fighting equipment, such as the anti-poison respirator, fire resistance rolling shutter and so on. 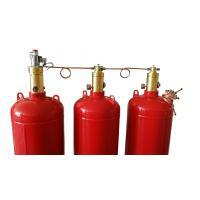 The fm200 fire suppression series have been divided into three big types. 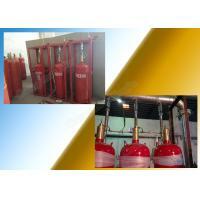 They are pipe network type fm200 fire suppression system, carbinet type fm200 fire suppression system, hanging type fm200 fire suppression system. 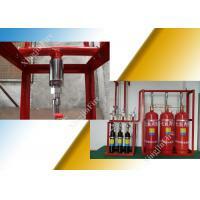 This kind of products have widely regconized as the best substitute to the halon series. 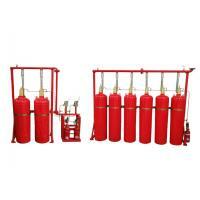 Our target customers are those people who require fire fighting equipments all over the world. We have quickly developed the asian and african market until this year. In the following years, we will strive for other foreign markets. We are ready for challenges, so please do not hesitate to send an inquiry to us!